There was an old astronaut who swallowed the moon. I don't know why she swallowed the moon. It happened at noon. Scholastic's bestselling OLD LADY returns in this adventure series with a nonfiction twist that will make you laugh AND learn! 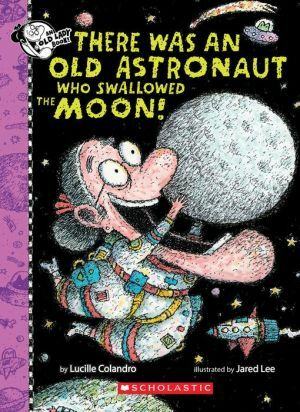 In this spin-off, the OLD LADY turns into an OLD ASTRONAUT who travels through space, swallowing a moon... along with a star, a planet, a comet, a meteor, a rocket, and a satellite... Why? Well, it went down just right, that bright satellite! Two new characters lead the reader through this hilarious adventure while exchanging some awesome facts about outer space for a light take on nonfiction that's perfect for this age. With expanded back matter about the solar system and a search-and-find game at the end, this OLD ASTRONAUT definitely shoots for the stars!